Winter is creeping up on us, and while we’re not exactly welcoming the cold weather with open arms, it’s always exciting to see the wedding decor ideas that come in with a new season. 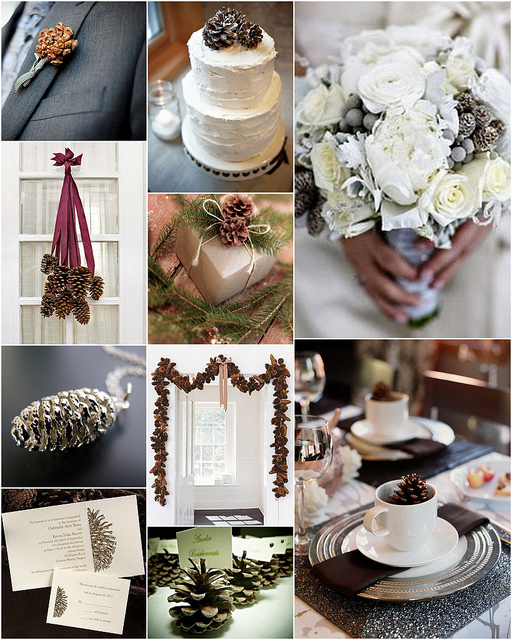 Pinecones are a great way to add some rustic warmth to a palette of winter whites. Not only are they adorable when added to a bouquet or featured as a place card holder, but they’re easy to come by and are very multifunctional. If you’re looking to cut costs on your winter wedding decor, try picking up some pinecones and a can of spray paint to see what you can DIY!